The components for 10393 and other related circuit boards for the new NC393 camera series have been ordered and contract manufacturing (CM) is ready to assemble the first batch of camera boards. In the meantime, the extruded parts that will be made into NC393 camera body have been received at Elphel. The extrusion looks very slick with thin, 1mm walls made out of strong 6061-T6 aluminium, and weighs only 55g. 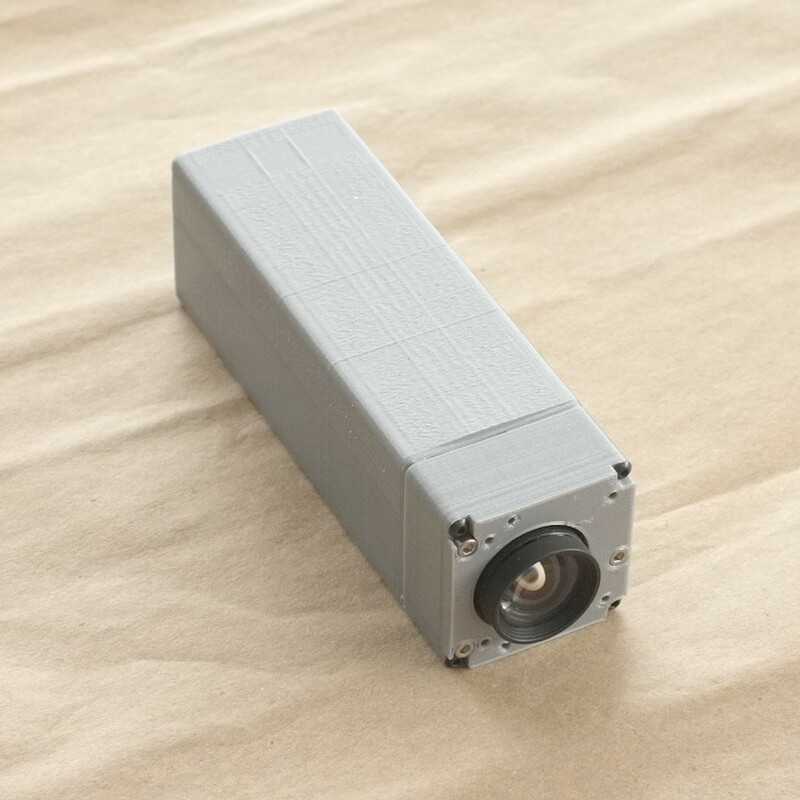 The camera’s new lightweight design is suitable for use on a small aircraft. The heat frame responsible for cooling the powerful processor has also been extruded. 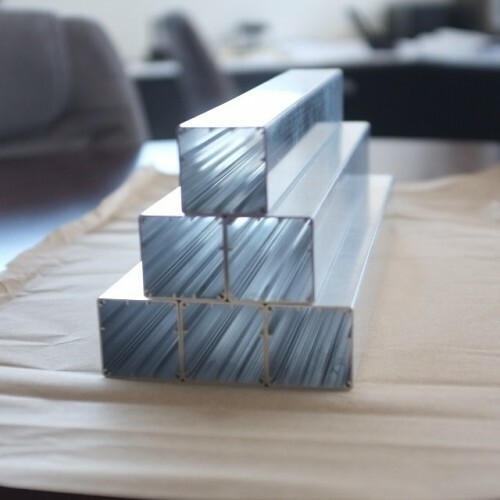 We are very pleased with the performance of Profile Precision Extrusions located in Phoenix, Arizona, which have delivered a very accurate product ahead of the proposed schedule. Now we can proudly engrave “Made in USA” on the camera, as now even the camera body parts are made in the United States. Of course, we have tried to order the extrusion in China, but the intricately detailed profile is difficult to extrude and tolerances were hard to match, so when Profile Precision was recommended to us by local extrusion facilities we were happy to discover the outstanding quality this company offers. While waiting for the extruded parts we have been playing with another new toy: the 3D printer. We have been creating prototypes of various camera models of the NC393 series. The cameras are designed and modelled in a 3D virtual environment, and can viewed and even taken apart by mouse click thanks to X3dom technology. 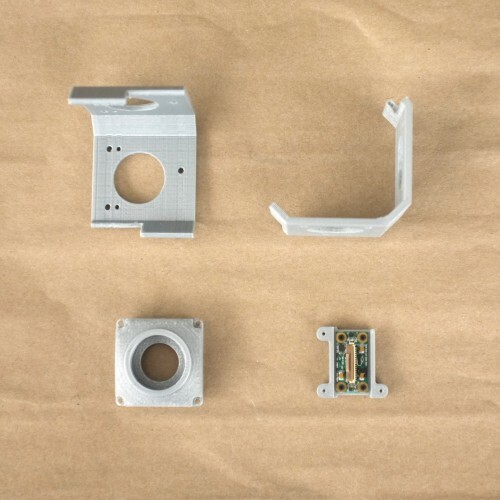 The next step is to build actual parts on the 3D printer and physically assemble the camera prototypes, which will allow us to start using the prototypes in the physical world: finding what features are missing, and correcting and finalizing the design. 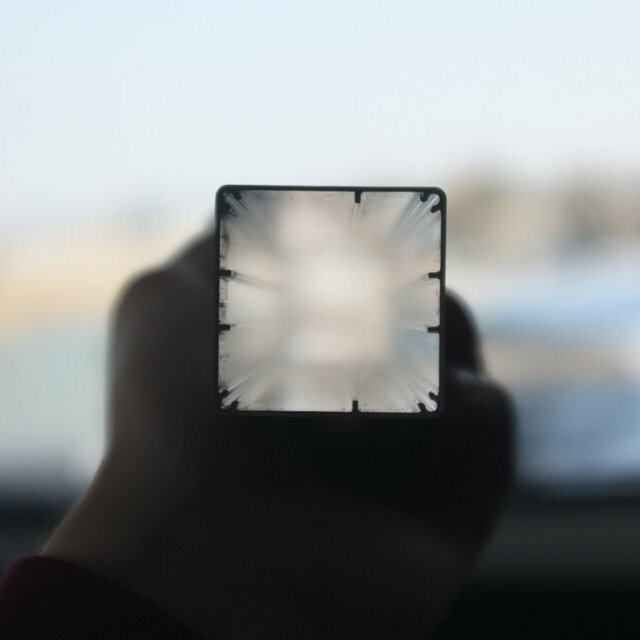 For example, when the mini-panoramic NC393-4PI4 camera prototype was assembled it was clear that it needs the 4 fins (now seen on the final model) to protect the lenses from touching the surfaces as well as to provide shade from the sun. 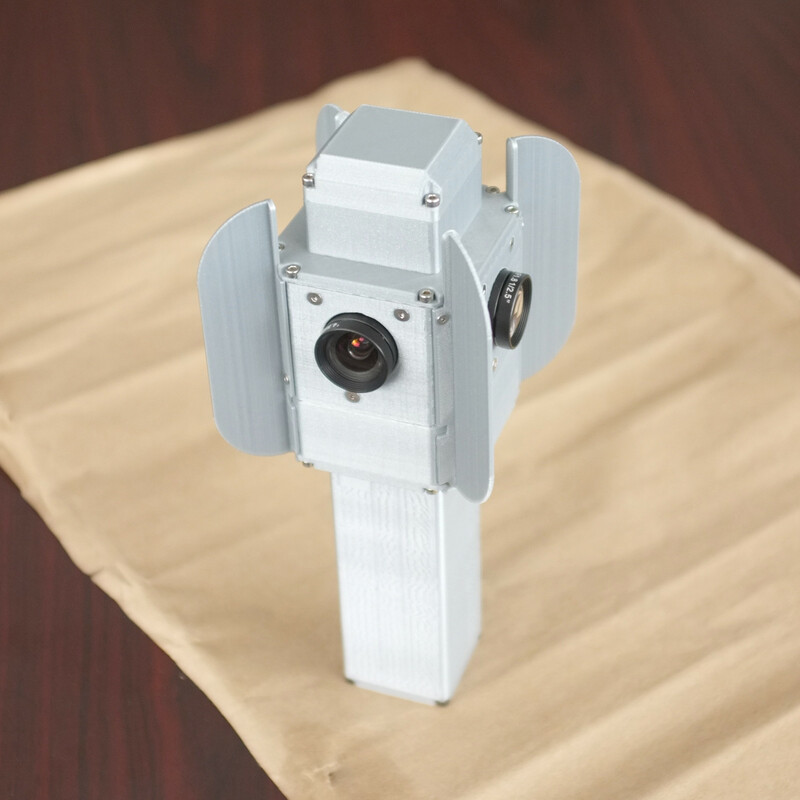 NC393-4PI4 and NC393-4PI4-IMU-GPS are small 360 degree panoramic cameras assembled with 4 fish-eye lenses especially suitable for interior panoramic applications. The prototypes are not as slick as the actual aluminium bodies, but they give a very good example of what the actual cameras will look like. 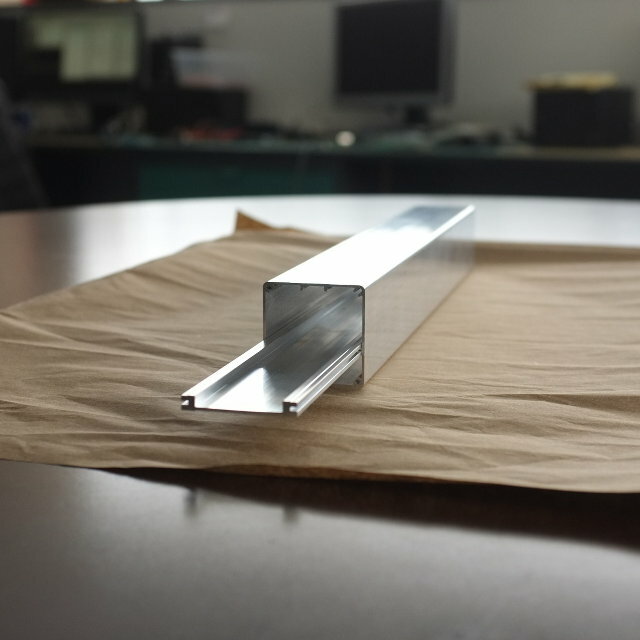 As of today, the 10393 and other boards are in production, the prototypes are being built and tested for design functionality, and the aluminium extrusions have been received. With all this taken care of, we are now less than one month away from the NC393 being offered for sale; the first cameras will be distributed to the loyal Elphel customers who have placed and pre-paid orders several weeks ago. Congratulations Andrey, Olga and Oleg. Hope to see the NC393 doing great in the field soon. It was a long journey, congrats! we are moving ahead with 393, almost there. Now you should also add Mikhail to our team to congratulate. In fact he was the one who made all the camera body prototypes on 3D printer.